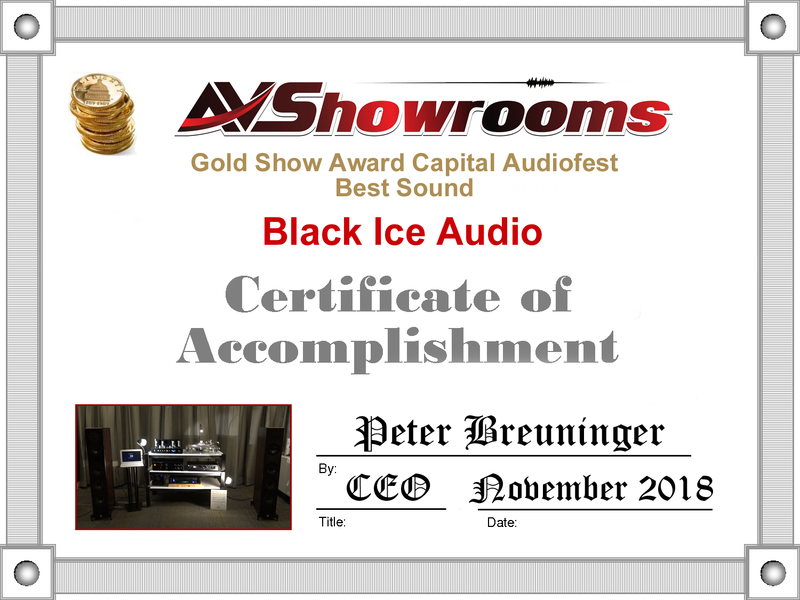 When visiting the Black Ice room at audio shows there is always the anticipation of something new and better. So far I haven’t been disappointed. The AVShowrooms’ Video will show you Jerred Dunkerson doing a compare and contrast on two new Black Ice Audio integrated amplifiers, the Black Ice Fusion F11 Vacuum Tube Stereo Integrated Amplifier, 18 watts per channel and the Black Ice Fusion F35 Vacuum Tube Stereo Integrated Amplifier, 50 watts per channel. We played the same two tracks with each amplifier in the system on the Black Ice Audio Fusion DAC/Transport now featuring DSD. One track was a drum and percussion recording and the other was a vocal track by artist Michel Jonasz. The 50 watt amplifier did everything I expected it to do, delivering a full, detailed sound with layering and great separation in the instruments. However, the real surprise in the Black Ice exhibit room, hey, maybe at the entire Capital Audiofest 2018, was the little 18 watt with the giant sound driving the Vienna Acoustics Beethoven Concert Grand loudspeakers, 87db efficient. The sound was around the room, folks. Effortlessly punching through whatever challenges these recordings present. It was awe inspiring to know such great, not good, but great sound can be had at $1400! And, if that is not enough, the amplifier includes a headphone jack. All electronics in the room were Black Ice Audio. 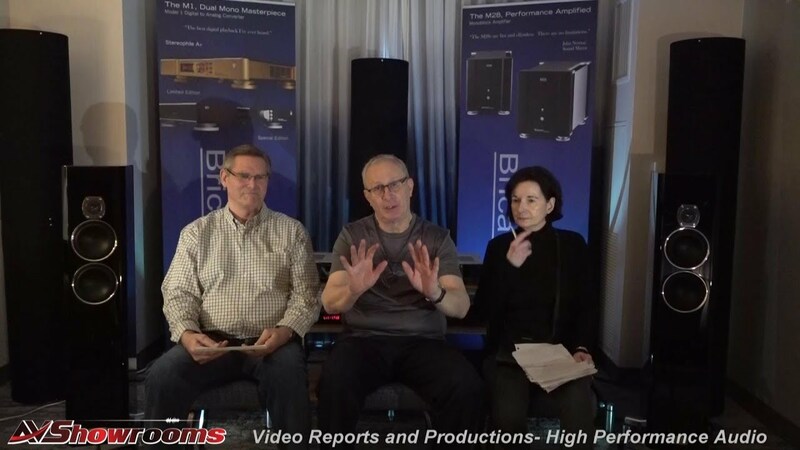 Brian Zolner of Bricasti Audio introduces to our viewers his new M25 power amplifiers, a dual mono version. The M25’s fall between the M28 and M15 models for power, current and performance. And, a powerful performance it was. We played a track with Chinese drummers that literally exploded in the room. 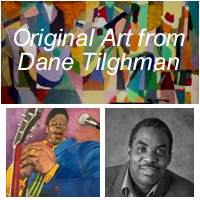 Outstanding bass, a multi-dimensional and layered presentation. At one point I actually jumped in my seat due to the transient attack of a drum thwack! The Bricasti system was fast, accurate and mind-blowing in its emotional involvement. 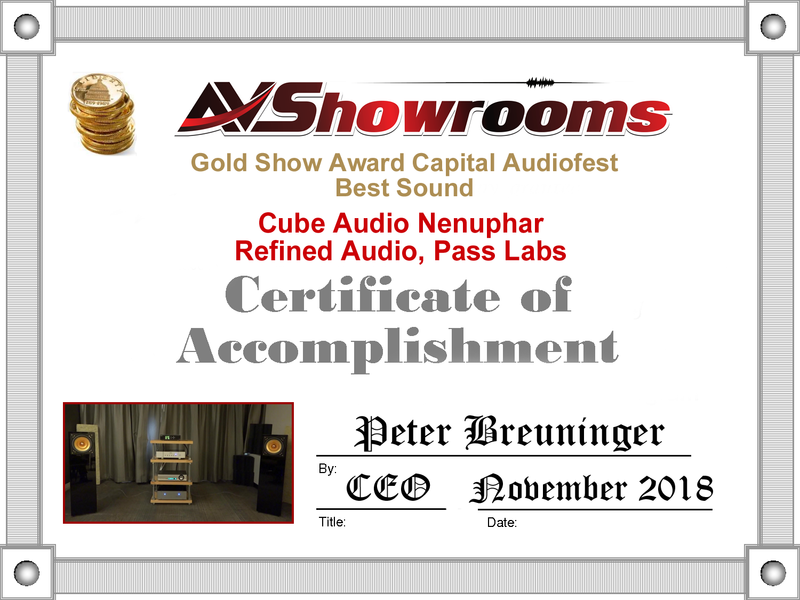 It’s almost impossible for me to describe what the Cube Nenuphar 10” cone full-range single driver loudspeaker delivered at The Capital Audiofest 2018, but I’ll try. We played two tracks, one by the Frederic Alarie Trio and the other from Michel Jonasz. The realism of the bass was astounding; the overall sound, holographic with both superb tonality and tonal quality. Every instrument was in it proper place . Jon with Refined Audio talked into the AVShowrooms’ video camera and told us about the new technology that makes the Nenuphar stand out. Not to be missed. Driving the loudspeakers was the Pass Lab’s latest amplifier, the SIT-3. The preamplifier was the Pass XP-20. In use were the QLS music server and the Metrum DAC. A beautiful and rich sound enveloped me even though I was sitting off axis. The new 2.5 way Larson 9 loudspeakers sit against the wall and pressurize the room, turning the space into the sound. 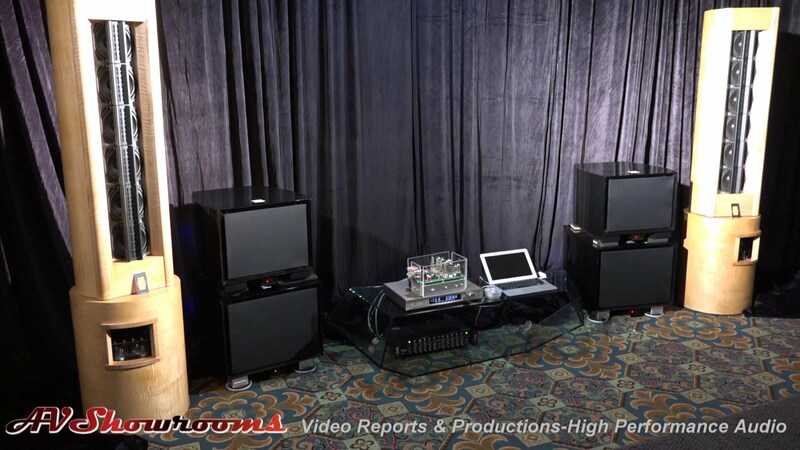 Michael Vamos of Audio Skies walks us through the system and explains in more detail on the AVShowrooms’ video the number of improvements in the new Larsons. Indeed, the proof was in the sound and the bass was astounding; the overall sound, coherent. We played the track “Nublado” from the MA Recordings album Sera Una Noche on the new Thrax turntable with the Hana cartridge and Schroeder tonearm with the new Sutherland “Phono Loco” phonostage. Amplifiers were the VAC Phi 170 separates with the VAC Renaissance Mark V preamplifier with cabling by EnKlein. This room was certainly getting the buzz during CAF 2018 and for very good reason. Possibly one of the best sounding rooms at the show, if not the best. Greg Takesh, owner of GT Audio Works talks all about his design of the GTA3r loudspeakers, an open baffle, full range, 2-way planar magnetic loudspeaker with a ribbon tweeter and proprietary driver. Now, include Steve Rabitz of Sound Insight’s open baffle powered 6/channel stereo sub woofers that go down to 16 Hz and you’ve got an uber-fast, chest-pounding sound with no sacrifice to delicacy and detail. I describe this as a masculine sound in the AVShowrooms’ “Reviewers View” Video that most certainly mesmerized and beguiled this female listener! The system was powered by the Pass Labs XA 60.8 power amps and the Pass Labs XS pre amp, a perfect combination for this system. However, tube lovers should take note that the GTA3r’s are 92 db efficient. All wiring was by Triode Wire Labs, both the Synergistic Research Powercell 12 UEF SE and Tranquility Base were in place and the CD was played on the Esoteric K01xs SACD player using the Vu Jade Audio 101DHT DAC. 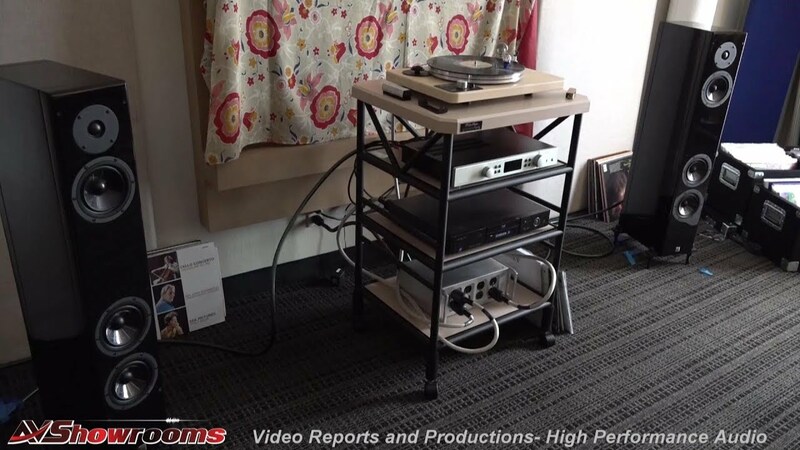 This is probably one of the most product-filled AVShowrooms’ videos produced for the Capital Audiofest 2018. 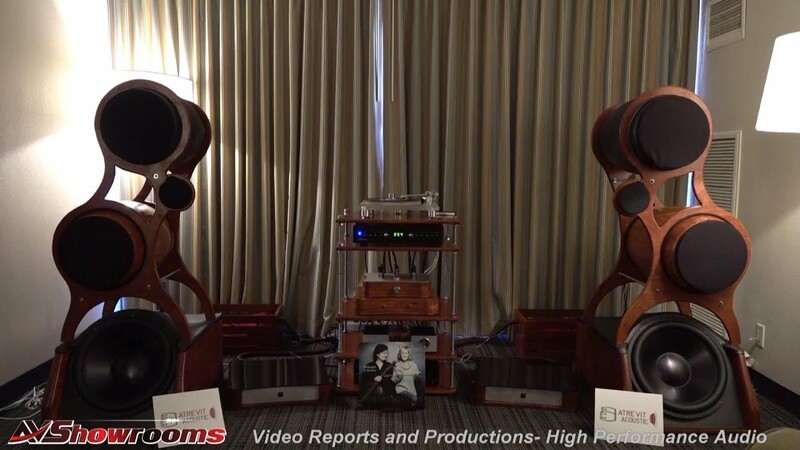 Bryce of Legacy Audio expertly walks us through each system being exhibited leading up to the flagship Legacy Audio loudspeaker, the Legacy Valor, in its debut on the east coast of the United States. The speakers were powered by the Raven Audio Silhouette monoblock amplifiers and the Legacy Wavelet pre amplifier and DAC. Peter Breuninger played a vocal track on this system by Michel Jonasz and mentions in the video that it is the best sounding Legacy Audio room he’s experienced in all of the years of visiting the owner and founder Bill Dudelston’s exhibit rooms. The vocal was floating in the middle of the room and the system showed off what the Legacy Audio Wavelet preamp/DAC could do by separating the instruments and allowing for perfect imaging. Many thanks to both Dennis of Leesburg Listening Room of Leesburg, Virginia and Bryce of Legacy Audio for delivering one of the best sounding rooms at The Capital Audiofest 2018. Dave Cope of Old Forge Studio joined forces with Nellie Davis of Audio Federation to deliver sound that was both organic and detailed at the same time. In its United States debut, Nellie talks in the video about the Acapella La Campanella 2-way loudspeaker, the largest of the Acapella loudspeakers that do not have the plasma tweeter. Also, debuting in North America, were the Pure Audio monoblock amplifier’s, Class A with 70 watts per channel and the Control 2 preamplifier. 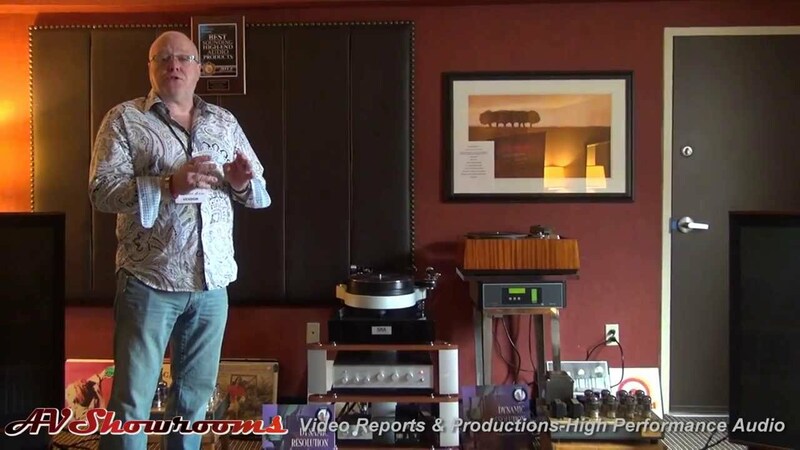 Dave talks about the new Wand turntable in detail that plays 33’s, 45’s and, get this, 78’s! The phono preamp was the PureAudio Vinyl. 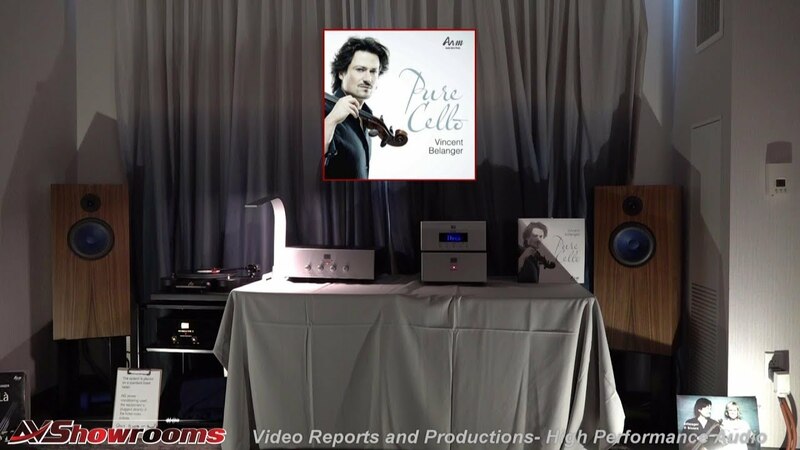 Spinning up a track from Audio Note Music’s “Pure Cello” was a reminder that Vincent Belanger, the cellist on the recording, was in this very exhibit room at a past CAF show. There was his signature sound, no doubt, unobstructed, in a quiet and serene environment thanks to Dave and Nellie. Embracingly beautiful. 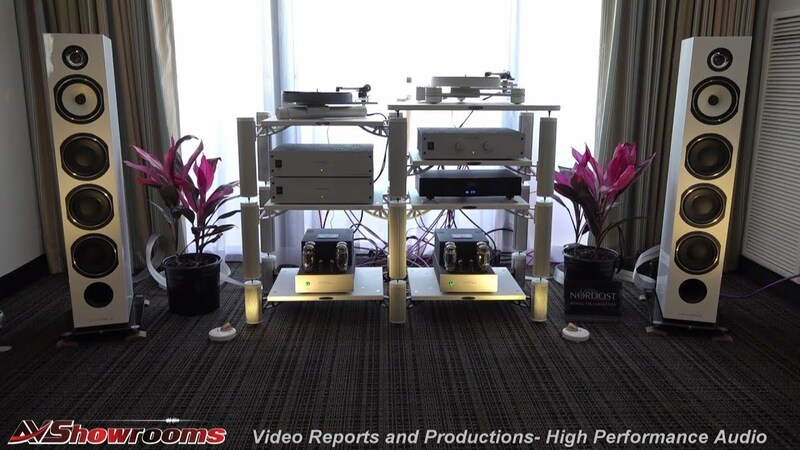 Without a doubt, The Audio Company of Marietta, Georgia has found its Mojo in the Potomac room at the Hilton Hotel in Rockville, Maryland. 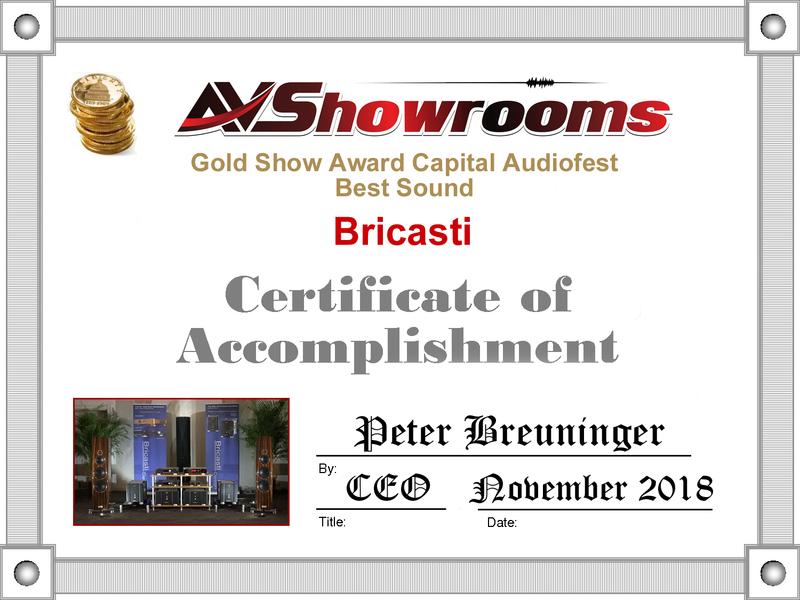 After an entire year of anticipation based on my experience at The Capital Audiofest 2017, I have come away with a head-shaking, nobody does it better conclusion. 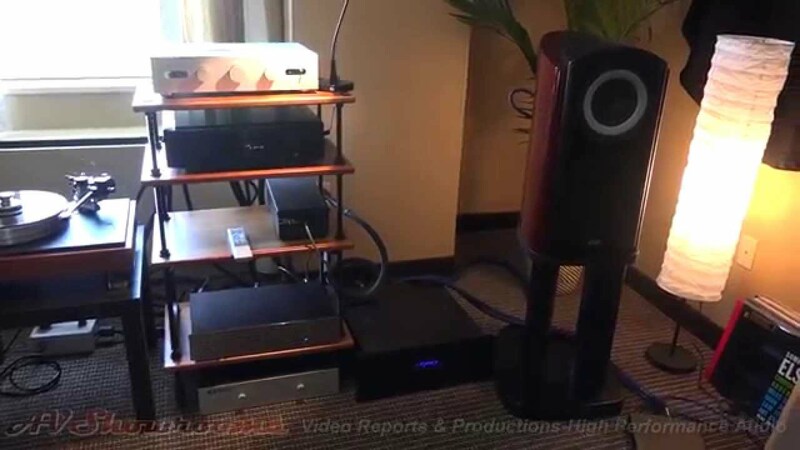 The Von Schweikert Audio ULTRA 11 loudspeakers and the VAC (Valve Amplification Company) bi-amped 450 IQ monoblocks with Masterbuilt cabling gave this listener that enveloping and involving concert-like sound that I’ve come to expect. On Sunday we played a CD and recorded it for the AVShowrooms’ video, a drum and percussive track on the Esoteric Grandioso P1 CD Transport with the G1 Atomic Clock and Esoteric power supply. The system pressurized the room and the music exploded around us. It was the same track we played at the Saturday night listening session and everyone in the room was pulled into the explosive sonic experience. Tone, tonality, imaging and a palpable gut-wrenching response by the listener is only at this level (I thought) when attending a live event and sitting in the best seats at the venue. This is not supposed to happen with reproduced sound. One vinyl track I was most anxious to play on the Kronos turntable with SCPS was a track from The Franklin Mint Country Music Collection with Merle Haggard and Dolly Parton. The voices were real and the raw presentation of Haggard’s voice combined with the effortless flow of Dolly’s vocals was so apparent it felt as if I could ride the music like a surfer rides a wave. Associated equipment included Critical Mass stands. 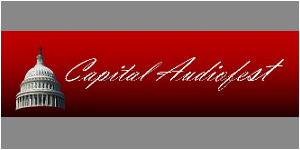 Another Capital Audiofest chock full of new product introductions along with great enthusiasm among exhibitors and attendees alike. A weekend-long party for high performance audio lovers. Among the new was the IMC Audio room with Mark Conti, a veteran in the industry and among the iconic; David Berning, in the Spatial Audio room. These are only two of the AVShowrooms’ Capital Audiofest 2018 videos packed with information.